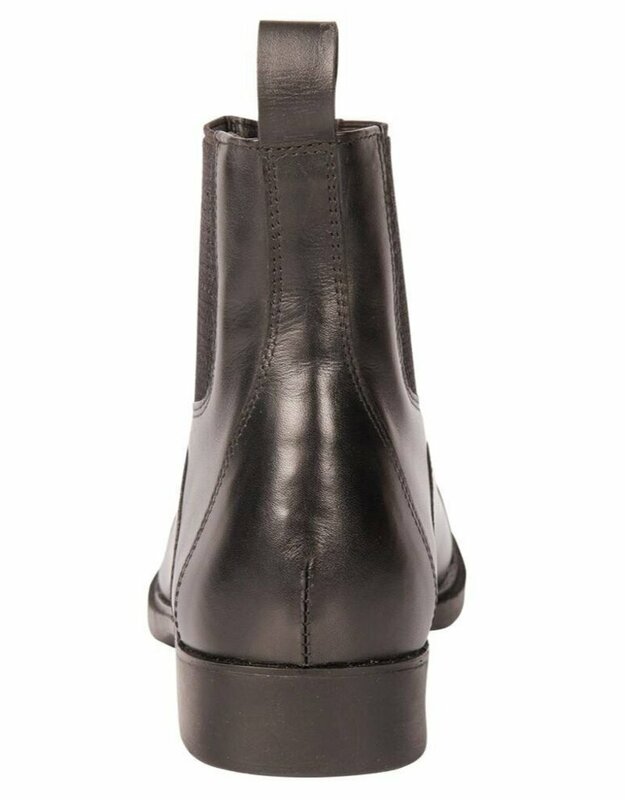 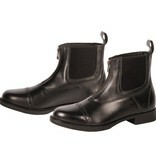 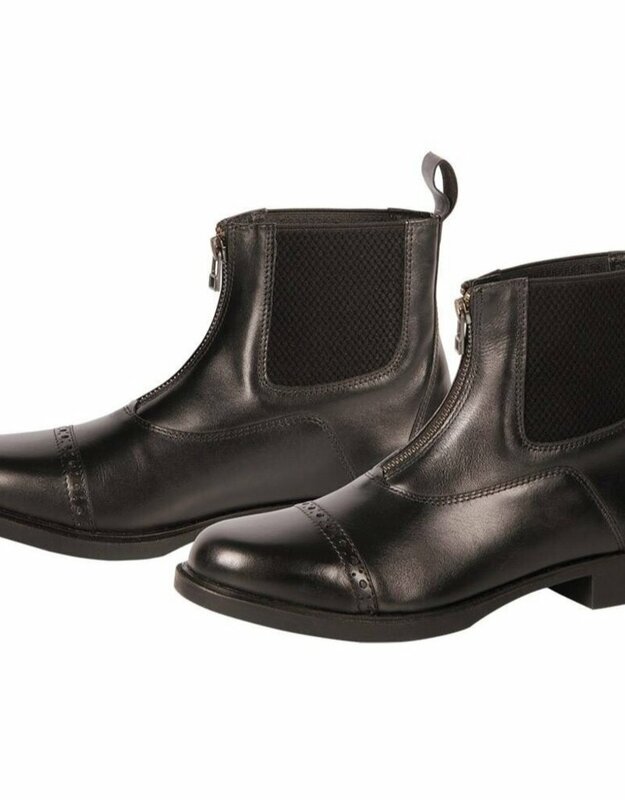 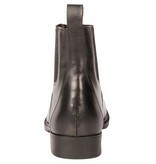 Leather jodhpur boots with zipper on the inside and a slightly profiled rubber sole. 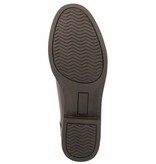 Easy to put on thanks to the elastic inserts on both sides. 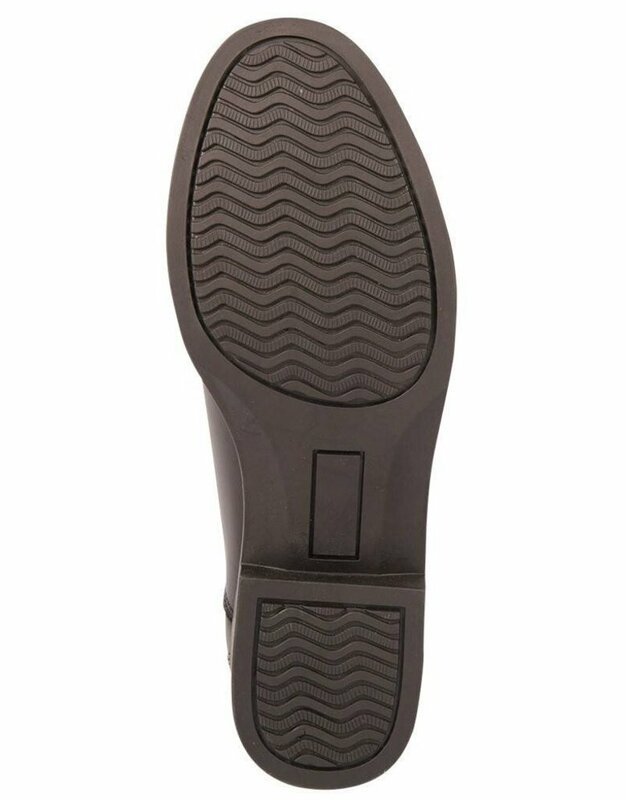 The boots run one size smaller.